Amazon.com Price: $25.30 (as of 2019-04-25 14:05:09 GMT) Product prices and availability are accurate as of the date/time indicated and are subject to change. Any price and availability information displayed on Amazon.com at the time of purchase will apply to the purchase of this product. No matter their skin type, your baby deserves proven skin care. Pampers Sensitive wipes are made with PureCare lotion that helps condition baby’s skin and is clinically proven mild. They’re also made with pure water and contain a touch of aloe and chamomile. Sensitive wipes are dermatologist tested, hypoallergenic, and perfume free. Proven care for baby’s delicate skin. 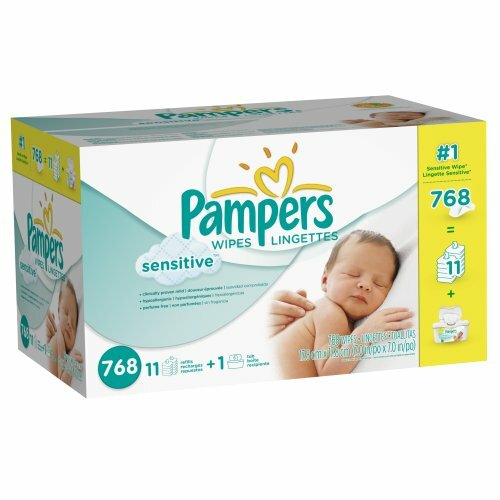 Pampers Sensitive baby wipes have PureCare lotion which conditions baby’s skin. Rachael Ray 10-Piece Cookware Set just $88.84 AR!